Finally! The tech-giant Google has officially announced the latest Android O. 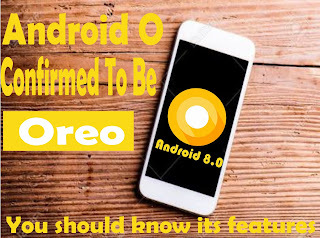 The Operating System has been confirmed by Google to be known as Android 8.0 Oreo, now we know what the “O” simply stands for. Yes, everyone had been thinking of what name could be given to Android O, and after several suggestions have been made, Google has taken its final decision by confirming the Android O to be Android Oreo. The launching of Android 8.0 Oreo kicked off on Monday being August 21st, in New York, during the Solar eclipse event, it was indeed a special day. But what could be so special about Android Oreo? I can say that Android 8.0 Oreo was built in the sense of advancement in technology. I remember when Android 4.2.2 through 4.4 Jelly Bean used to be the talk of the world, and today it's no more considerable, Hahaha… without wasting much of your time, let's get to know the goodies of Android Oreo. A few days ago, I made a post on this blog about Android 8.0 OTA updates. 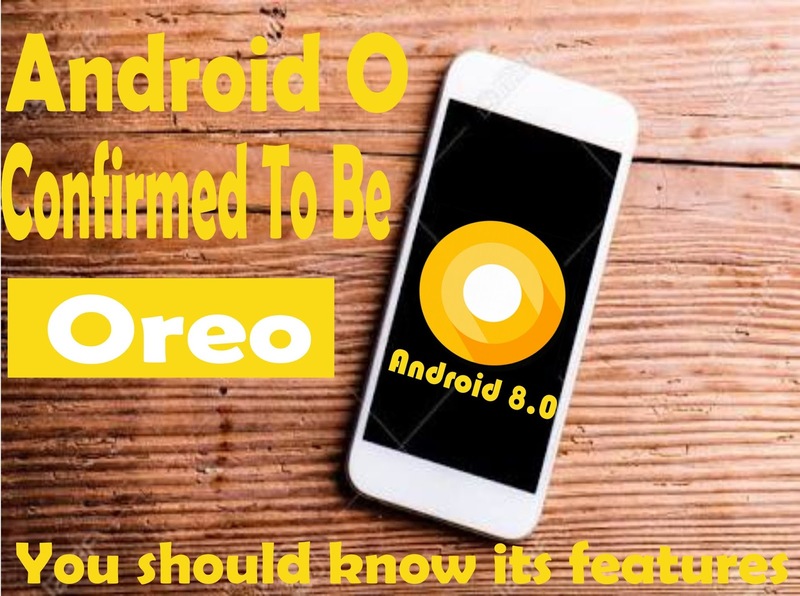 There are reasons you should be more excited as you are, those reasons are the wow features of Android 8.0 Oreo which will be reading soon. Android Oreo is packed with so many features which are discussed below. Google has made activities being done with smartphones easier by introducing picture-in-picture functionality into Android Oreo. This feature would allow users perform multi tasks simultaneously which is similar to the Nougat feature, though, it is more advanced than that because, with Android Oreo, users would be able to continue watching videos on a small-sized simulated/virtual screen while operating on other apps. For example, a user could be watching a video on YouTube while making use of Google+ app. In Android smartphones, there have been improvements at liming the background activity of apps when you think there is a need for saving battery life, and with the invention of Android Oreo, it has gained more improvement. With Android Oreo, users can influence their apps notification categories using “notification channel”. Users can categorize which notifications to receive and not to be received. In addition, Google has also made it possible that users can be able to snooze individual notifications for some time like an hour, 30 minutes, 15 minutes and so on. This feature is quite similar to #3 feature. Notification dots are visual indicators displayed on apps icon indicating that you have a waiting message/notification. Of course, iPhone users should be familiar with this feature. Having Android 8.0 Oreo on your Android device will improve your camera quality. One of its improvement is the double-tap feature that lets you double-tap on the screen to zoom objects up to 50% in the camera app. Some shortcut buttons will also be added to the camera app. These buttons will let you switch between photo and video rather than the usual swiping which users might have found uninteresting. This is all about making your Android device more secured. Android Oreo will be receiving this feature to keep your device from corrupt programs, though the feature is also rolling out via Google Play Services to other devices with older OS like the Nougat and probably Marshmallow. The duty of this feature is to automatically scan incoming and already- installed apps for malware and then sending you notifications if it happened to spot any suspicious content and prompt you to take action. 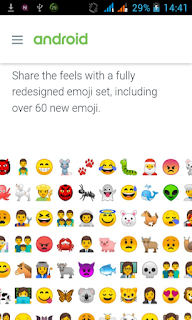 Of course, this has been existing in Google Chrome browser as one of its features. It's a good thing that Google is extending this feature to Android 8.0 Oreo OS. This Autofill feature, when given permission to function, syncs app logins (password, username, phone number and other login information), addresses, Credit card details, and other information. The reason for this feature according to Google is because “ Android users already rely on a massive count of password managers to auto-fill repetitive information. 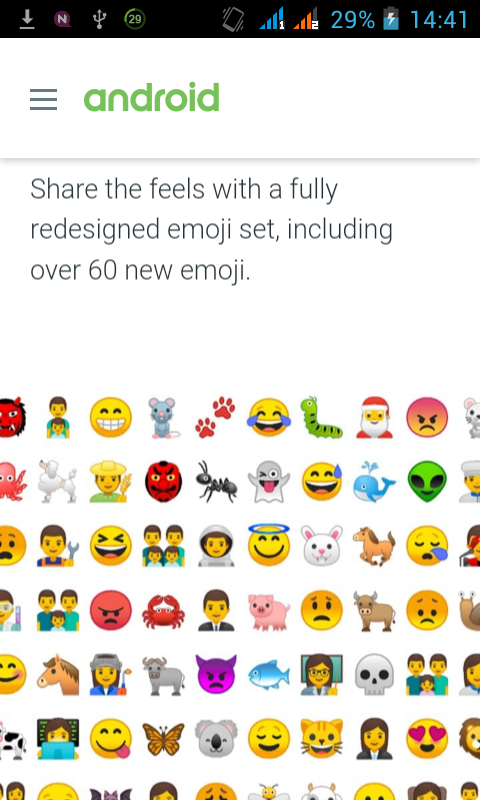 There is no way an Android version would be discussed without adding its Easter egg. Android 8.0 Oreo’s Easter egg is an octopus. To play with Octopus on Android Oreo devices, go to settings»» About phone, then tap Android version until Android O appears. Continue tapping the O for several times and then long-press it to pop up the Octopus. Finally!!! I drop my pen… Haven read this article, do not fail to drink a cup of coffee because you must be very tired by now. Are these features OK with Android 8.0 Oreo Operating system? Share your view with us using the below comment box. Thanks a lot for visiting oshetech.com. If you like our services, please share this article to those social media you belong to.